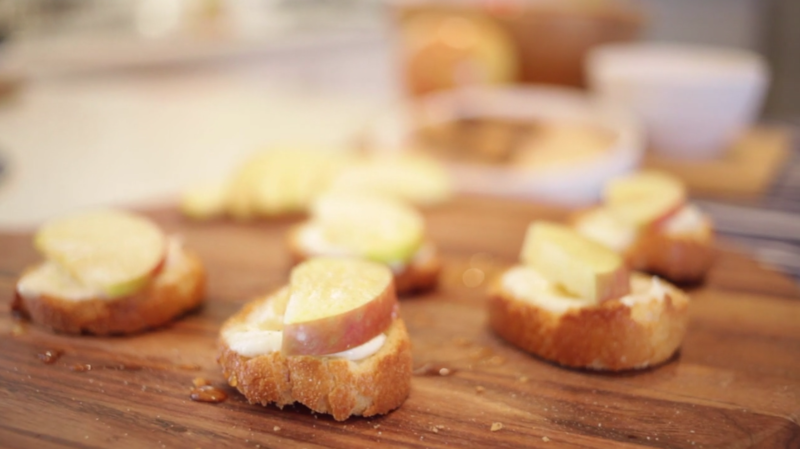 A great way to kick off a party or just a quick snack. The cinnamon & Dodoni feta spread with apple on crusty bread is a delicious dish that will leave you wanting more! Firstly preheat your oven to 200 degrees. Spread the sliced bread evenly through out the oven. Watch until golden. It should only take a couple of minutes! To make the spread add 150 grams of Dodoni feta into a blender with 100 grams of cream cheese! Slice the apples thinly! When you buy them try and get smaller apples! It helps with presentation! Get your artist on and plate up!